The much-speculated-about lovers’ singoff seems less likely after another pimp slot for Emily, but it would be a major surprise if boyfriend Ryan gets out of jail. He went into the show odds-on in the elimination betting, and the market now rates him about a 70% chance to be next out. Honey G has shortened to second favourite, and we felt a vibe that the show may be reluctantly accepting the game is nearly up with her – but then, it was hardly the best of treatments for perennial singoff assassin Saara, either. In the outright, Matt is almost as short a price to win as Ryan is to leave next, despite Dermot’s show-opening insistence that “it’s the most open race we’ve ever had” because “three different acts have been top”. Emily is back into second-favourite, although mostly because her odds held steady while 5 After Midnight drifted out. As ever, a Sunday rewatch will tell us more, but here’s how we saw movie night on first viewing. Poor old Ryan – what are you supposed to answer when a producer, offscreen, asks “who would you rather win the X Factor, you or Emily?”. He must have worried that if he’d said Emily, that would have looked like he was mentally checking out of the competition already – but reluctantly admitting that he’d rather win it himself made him look a touch unchivalrous. Then there was a calorie-burning competition with Matt, for Fitbit product placement purposes. This turned out to be another cruel touch on the show’s part – using Ryan’s VT to set him up as trying to compete with Matt; then having Louis tell him, in comments, that Matt would always be better than him; then, later, in Matt’s VT, having a journalist ask Matt who his main competition is. “5 After Midnight”, Matt replied without hesitation. Ryan who? Performance-wise, it was fun and in Ryan’s comfort zone, which suggests that producers are happy they can keep his vote under control by keeping him in his lane. The judges were mostly in nonmotivational praise mode, excepting Louis’s comment (which will surely have struck most viewers as harsh but not unfair) and Simon saying “it was a little corny” (ditto). That somewhat undercut his praise for it being Ryan’s best effort in seven weeks. Simon also claimed it was the first time in the live shows that Ryan had looked like he was enjoying himself, perhaps intended to imply that he has a dour personality or hasn’t been sufficiently grateful. There was plenty of distracting chatter about the judges being shown in close-up on the big screens, and Dermot twice asked Ryan about being at the bottom. It will be a major shock if he escapes the singoff. Next up were 5AM, and after we’d met Nathan’s hardworking dad last week, they got a highly positive bonding VT having dinner with Jordan’s family and meeting his little brother (“I just want to see you in that final – that’s gonna make me so proud”). There was plenty of gold in the staging, and another big reaction from the studio audience. Sharon and Louis namechecked them as finalists, and Louis identified a “massive gap in the market” for them. Nonetheless, they drifted somewhat in the outright and shortened slightly in the elimination betting, due to the doubts expressed about their vocal capabilities. Both Nicole and Sharon praised the performing more than the singing, then Simon specifically criticised the vocals. Livening up the final is one thing, but doubts have to remain about whether they have the vocal chops for the show to want to push them for the win. Saara wasn’t sent to the Finnish Embassy, but it was the next worst thing – in stark contrast to the previous week’s VT about how happy she is to be in Britain, we heard her confessing to feeling lonely as “it’s been months since I’ve seen my family”. There followed a Skype conversation in Finnish with assorted family members, set to sad music. The clear intention was to demotivate votes. Saara smashed the vocal, of course, but her styling put ten years on her, and both staging and arrangement felt very musical theatre; despite a pyro curtain at the end, we felt the overall effect was rather dull. Judges’ comments were generally non-motivationally positive, with Simon saying he didn’t like the dress as it wasn’t wacky enough – perhaps a proxy for reminding viewers that the high-energy, bonkers vibe that’s endeared us to Saara was missing here. The interesting question is whether this was intended to drag her into the singoff with Ryan, keeping Honey G clear for another week, or to pull her off the top of the vote if she topped it last week with ‘Enough is Enough’. If the vote was very close last week, it could even be both. Matt’s VT started with a reminder of the “karaoke” comment about his previous week’s performance, and we saw him taking responsibility for choosing a Sam Smith number. For the second time this series we saw him denying complacency to a showbiz reporter. Having not joined the standing ovation for the first three acts of the night, Simon did so for the last three, starting with Matt. That, the beautiful golden lighting, the effusiveness of the comments, the continued whipping up of the audience during them, and Nicole squeezing out a few tears, all added to the sense that the show intended this to be Matt’s moment. We’re not entirely sure it achieved momenthood, as the song itself is an acquired taste, but it remains increasingly hard to see who’s going to beat Matt to the prize. Honey G’s VT started with another Fitbit plug, before we saw her reassuring a taxi driver that she’s the real deal, spliced with a montage of media debate about her. Sharon called her the “hardest working contestant”, a theme picked up in comments, and “determined to be at the final”, which Honey herself said was “within touching distance”. Producers had again gone to plenty of effort, filming her getting on a tube for the song’s opening – well, it makes a change from the car park. During the performance we felt it was far from her strongest week, but a four-judge ovation immediately indicated that producers are still hopeful of getting her through at least another week. 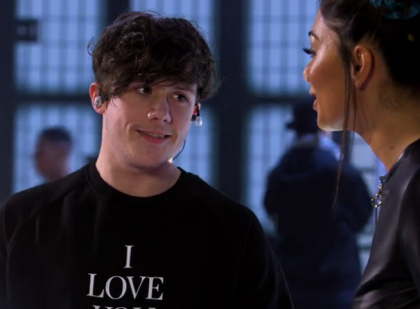 It rang alarm bells for us that both Louis and Sharon openly pleaded for votes, though – that strongly suggests that Honey hasn’t been escaping the singoff by much. Simon promised a “reality check” before gushing “I love you”, calling her “infectious”, and saying “is it the best thing I’ve ever heard, no, do I look forward to you coming back, yes… it’s time to rip up the rule book”. But the alarm bells rang loudest when Nicole said “towards the end I wondered if I’m starting to see the same thing week after week”. We’re slightly surprised that comment was allowed through, given the other evidence that they’re still trying to be helpful – it’s damaging because it’s true. Simon explictly referenced the headmasterly vibe in Emily’s VT, as she met him at his office at Sony to be told off for having an opinion. The rest of the VT established that Emily had seen the light and chosen for herself another of the slow songs Simon likes for her. Simon held out the prospect of her winning, and we saw her walking around Sony and hoping to be signed up. The performance was basically Creep II, with plenty of helpful reverb on the mic again and a lingering close-up at the end, but without the same impact the second time around without the added visuals. A four-judge standing ovation had the “beautiful” and “haunting” epithets wheeled out again, and Sharon praising Simon for “creating this image for you… You’re like a young, hip Sarah McLachlan” (poor Sarah). With due modesty, Simon deflected the praise onto Emily. There were alarm bells here, too, notably Sharon’s phrasing of “I’m sure everyone is voting for you” – that isn’t an exhortation to pick up the phone. But producers will surely know what to expect vote-wise by keeping Emily firmly in her lane, and it seems unlikely that they would have made such a big thing of this performance being down to Simon’s good judgement if they were expecting it to result in a bottom two appearance. Can Ryan somehow stage a breakout? Will singoff assassin Saara claim another victim? Will the show be happy to court the controversy of saving Honey G, if needed? As ever, do keep your thoughts coming below. 224 comments to X Factor 2016 Week 7: Broken-down Lawrie? I still think that this weekend will be a real test of 5AM’s support. Up second, not a fantastic performance, not wholly positive comments, and the only act of the night to be followed immediately by another act rather than an ad break. In fact all those things happened to Sam Lavery last week too, though admittedly she had plenty of other tools used against her too. Still, I of course expect a Ryan/Saara sing-off, but the only person who I feel is 100% safe is Matt. I think 5AM fluffed their lines a bit. I think it was supposed to be another wholly positive week. As much as comments are planned in advance I do think Cowell reserves the right to ad-lib where necessary and I think he probably genuinely felt they needed to be pulled up on their vocals this week. Everything else about their treatment was positive and I wouldnt be surprised if they were at the top of the vote last week. An early slot this week gives them opportunity for later slots and more pimping the next couple of weeks to ensure they get to the final. I dont think the guests would continually name-check them as favourites or Matt name them as his main competition if they didnt want them to get to the final. I will be surprised if they are named checked tomorrow Alan judging by who is on. I think it will be Matt/Emily tomorrow, if they are asked. Funnily enough I wasn’t expecting full on treatment tonight after they were not called out safe first last week. Their most full on support performances they have had a band of musicians and backing singers. Maybe it was about tempering the support so they can go full on again next week but to me it don’t make sense to pull them back on vocals, especially if they want them for the final. I agree with Curtis it is going to a real test of their voting base tomorrow. Little Mix were also criticised for their vocals at one point – or rather that Perrie should be the lead singer. The running order and Saara performing straight after aren’t good signs but Simon’s criticism last night wasn’t directed at 5AM themselves – it was more the performance. It seemed like positivity mixed with reluctant negativity from Simon. I wouldn’t be shocked if 5am ended up in the sing off. Poor performance, on second, negative comments- plus the stories in the papers again this week about them fighting. Honey G also in the mix for the first time imo. She is becoming boring and is unlikely to be picking up floating voters. Even on places like the Facebook page where she used to have lots of fans, she has slipped backwards to last place. Matt-Safe. Back at the top of the vote. Emily- I’m surprised they gave her the pimp slot with that dull performance, instead of Matt who still hasn’t had one yet. Saara- I still don’t know what the producers make of her. I think she possibly topped the votes last week and freaked them out. Could have been better, could have been worse. Did anyone catch Dermot trying to catch out Saara? It was really random asking her where she first auditioned. Could’ve been awkward if she didn’t remember Manchester, unless she was prepped. I think that Saaras popularity could become an issue for them. If they dont want to let her win, they cannot let her into a final. So she should be eliminated soon but her performance level is increasing. I think it was more like an attempt to make an interview without any relevant content. Do not let her say anything that might persuade people to vote for her. Just talk about the dress and the hairdo that made her look like a sheep and then a few words about Manchester……. Or something, I cannot recall exactly what they were talking about. And yet she was shown auditioning in the Edinburgh show (when Sharon was missing). I know she’ll have been referring to the producer audition, but still I wonder if the silent assassin was at work there on the sing off assassin. If we’re basing the competition just on vocals/performance Then Saara should be the outright winner by a mile!! I can understand them trying to manipulate it for someone like Honey G… But why they are actively trying to discourage votes for Saara is beyond me!! A win for her would actually give the show a little more credibility!! Although I guess they’ve given up on that now!! She’s got zero commercial potential. Matt doesn’t have any commercial potential. You’re right, but the key difference is Sam Smith writes his own material. That’s his talent and he wouldn’t be anywhere if he didn’t. She’s also very marketable. Her gender fluidity fits with the zeitgeist. Her best stage performances and outfits are reminiscent of Gaga and Cyrus. Her personality is warm and approachable. She’s intelligent, interesting and has a collection of life experiences to share in interviews and articles. She’s not Syco material though. They prefer blank slates that they can present as walking clichés. Even Fleur makes most of her tv appearances in over the knee boots and a leotard. Her stand-out characteristic is that she smiles so there’s probably too much overlap with Saara there. Honey G is doing too well for the producers. It’s time to stop this train soon, but not now. Matt’s performance felt like a basic cover of a basic song, but I can see how others will see otherwise. Maybe TPTB has accepted that his win wouldn’t be as bad as someone else’s? All the talk on Emily’s performance reminiscent of XFUSA reminds me of another performance. I’d like to think Honey G is Ryan’s Get Out of Jail Free card, but this show has saved an act who raps poorly before. Simon not giving Saara a standing ovation, but giving one to Emily and Honey G! Makes him look like he is in the wrong line of business if he can’t tell the difference between those three’s vocal abilities. A story circulating (Daily Star) that Honey G beat Matt in the telephone vote last week and that the Simon is worried that she may win the show making it a laughing stock. I know some of you say that the producers can easily bring her down and that there would be no chance she can beat the chosen one in the final. That most people don’t care about what happens on the X Factor so there wouldn’t be a significant movement to spite the show. I still think it would be a significant risk. Their influence on the press is not what it was. If Honey G made the final it will completely overshadow the chosen one and there maybe a “campaign” to make her the winner to spite the show… would the show’s many distractors buy Simon’s love for Honey G? Would they savour the opportunity, especially unlike the Rage Against the Machine campaign you need spend money to take part. Of course the story could be a plant and it is about keeping the controversy alive. If she is in the B2 tonight will she be saved no matter who she is against? The recap tonight is going to be interesting if it gives clues what is coming and if it provides a narrative for a save for the contestants. Why would Honey drop from 1st to 5th in the space of a week with continuing positive treatment ahead of the likes of Saara (B2 three times already), and an under par 5am? So your confident Honey G isn’t in danger tonight Gavster? I’m just saying it’s difficult to drop from 1st to 5th given she wasn’t that far from the pimp again this week. Topping the phone vote is still a surprise, as one would expect her demographic to be app users. Chance is she topped both. If Honey somehow ends up B2 with Saara or Ryan I think she stays. I disagree. We already know it’s been very very close amongst a lot of acts. As the competition thins out its more than plausible for the wheels to come off. Last night was the worst of a horrendous set of performances from the least talented act we’ve ever seen on the show. I find it crazy that even people with money on her can’t even admit how attrocious she is. I do have money on her which I’ve been trading off. Do I think she wins? No. Did the show suggest she’ll be eliminated this week? No. At best they would take it to deadlock. Her support on forums and polls Facebook etc is low. Low enough to finish bottom now. Of course the show want to keep her about a bit longer, we’ve had 4 judge standing ovations pretty much all series. In my opinion because she desperately needs every bit of help she can get. My question was if she dropped into the bottom would she be saved at any cost. Of course this depends if you take the article at face value. If it is true and she topped the telephone vote she must have done well in the app voting. If she was top why would she need Louis and Sharon to plead for votes? I agree she would not fall from 1st to 5th in a week on that treatment. I felt the performance didn’t feel a vote motivator to me like last week and Nicole’s comment was striking but a fan pleasing performance nevertheless. I always doubt these stories when they say contestants like Honey G are top but the Daily Star has “leaked” voting information in the past. I think the show has been very careful to embrace Honey G and not give any impression that support for her would be in any way a spite for the show. I’d imagine they are extremely confident they can lose her at a time of their choosing. If they were overly concerned by her polling last week she would have been on first this week, without a mash-up, without a huge production, with a VT depicting her as a delusional woman with no mates and plenty of bored judge reaction. Two scenarios seem to be possible. The story is sort of true but there’s no panic and they’re happy to deflate the Honey wheel on the way to the final. Or there’s nothing in it at all. There are stories every year about the joke act (Wagner, Jedward) topping the votes every year and I’m sure the Daily Star is usually the culprit. They have always turned out to be false. So while it could be true, I would be very cautious about assuming that there is any truth in this. Actually no, the Daily Star tends to be correct. From memory, they’ve been wrong once. As a general rule, The Daily Star tend to be accurate. I think it was The Sun who reported Jedward as topping the vote wasn’t it? The Star used to give accurate leaks, but got it completely wrong last year I think. Interestingly it says they only have the phone data. They could’ve been spot on last year with regards to the phone vote, but I bet most vote on the app. Sometimes the leaks are accurate, other times they’re not. The Daily Star certainly doesn’t have a 100% record with XFactor. I’m sure that’s exactly why he said it, the problem is I ‘m not sure it’ll have the desired effect. He’s praised every performance so far, and mostly with standing ovation, so nothing’s changed in this respect. To people using this as a vote against the show they don’t really care what he says – good bad or indifferent. A lot of people see him as a musical imbecile with a stable of over rated crap acts that dominate the charts. They know Honey is the worst of the lot. A truly talentless zero personality complete waste of space. If he says he loves her all the better. It just makes him look all the more ridiculous. Whilst I’m on a rant at what point did someone think it might be a great idea to depict an 18 year old girl as a prostitute sitting in the gutter. I couldn’t disagree more with the sentiments above about Honey G being talentless. For all the grumbles on Facebook comments along the lines of “all she does is say her name”, “anyone could get up on stage and do what she does” etc etc – the fact is it takes a lot of balls to do what she does and I genuinely believe that she does it well. It’s clearly a persona, albeit an affectionate one from someone who loves the genre and knows it inside out. That said – as much as I love her, I do think we’ll finally find out this week what she’d perform in a sing off. Fair points, and it’s moot at this point whether people even vote based on talent. More likely it’s on performance enjoyment and entertainment. There are several performers I would say are more talented than HG who have found themselves in the bottom two/three because the public don’t vote on talent, it’s much more complex than that. Were Reggie ‘n’ Bollie talented? More talented than I but each week delivered a bright slice of infectious entertainment and given every help going. I didn’t get Honey G at first but several of her live performances have been very entertaining. The stage shows have been huge and that’s a big part of it, but not anyone could star in them. She’s been great. That said, I’d prefer singers in the finals. My only problem with her is that she shouldn’t have said she still smokes weed occassionally (if she indeed did say that). I wonder if she “went rogue” there, right after the VT with kids. Maybe she wasn’t happy with that image? I think shes got balls but that aside shes got no talent whatsoever. Anyone who thinks shes got any credibility within rap circles doesnt have a clue. Shes a total embarrassment. She has got better as the lives have gone on though and I’d rather sit through HG than Emily any day. That’s not saying a lot mind. Re: Emily’s song choice. The discussion between judges last week was surely scripted (btw Louis is a terrible actor). Why did they do it? Was it a setup for Emily or was it a surprise to Simon she agreed with the other judges? Was it all engineered just in order to justify Simon’s song choices to the public and make him look like a guru? Was Simon ever really angry at Emily? It certainly would be oddly scripted, a powerful man being angry at a young girl for something like that does not look good. Maybe Emily had “rebelled” backstage? Definite silent assassin attempt at a hatchet job on Saara. I wonder if she’d said Edinburgh if he’d have questioned it further. Think you’re going down a rabbit hole there. Difficult week to assess with a huge number of ifs and buts. My gut feeling is Ryan is in trouble still, although it really wasn’t a particularly bad week for him performance wise. First up, a ropey VT and the general feeling that he has overstayed his welcome is probably enough to keep him down though. Matt is safe I imagine, although it was far from the moment he needs to make him the undisputed winner. Decent, but not fantastic, vocals and a poor song IMO and not a performance that will be remembered beyond this weekend. 5am – I think they wouldn’t mind them dropping into the bottom 2 against weak competition (such as Ryan) to give them a kick up the backside in terms of people voting and performance. Its key to remember that they have 2 performances to do next week and frankly they seem to be struggling to perfect 1 per week at the moment, so I think there is a good possibility they will be badly exposed over the next 2 weeks. If their votes aren’t that strong or disappointing so far, its far safer for them to drop into the bottom 2 this week to enable them to bounce next week. JLS dropped into the bottom 2 at this point and it helped propelled them to the final. Saara – the most difficult to analyse for me. It was neither ramp nor deramp. For me it was probably the best vocal this week, although while praised highly, not quite given the praise it deserved. She was much better this week than the 3 weeks she ended up in the bottom 3 and better than Bad Romance. I also think that while she lost much of the trademark kookiness this week, it was probably a lot more MEM friendly as a result, so it will be interesting to see whether she can actually tap this vote, as there does seem to be a ceiling for production heavy (at the expense of singing) contestants. The VT was neither motivating or demotivating, as everyone gets she’s finnish now and the focus was on missing her family (which is understandable) NOT missing Finland as a country – which would have been bad. I tend to think VTs need to be a bit more extreme to have much of an impact at this stage of the comp to be honest. If she gets through this week without visiting the bottom 2, it might be time to take her seriously, as the 2 performance per week format will suit her more than anyone else. Honey G – finally the beginning of the end I think. It felt a bit more subdued this week and the comments were dampening even though they remained positive and didn’t match the standing ovation. The production was horrible, the moving trains were very distracting in the background to the point that I can’t recall the actual performance at all. Might be safe this week, but will struggle next week as the 2 performances will highlight that she just does the same thing all the time (which was introduced in the comments for the first time this week). Emily – the only positive is the pimp slot, but it was wasted. Very samey, boring and felt, like last week, her voice was exposed as being very weak. Having both Saara and Emily perform a ballad highlighted this and had allowed unfavourable comparisons (which were allowed to be expressed on Xtra Factor). The VT built this up into being a special moment, but it fell flat big time. How safe she is depends on the power of the pimp slot, which does diminish as the show progresses and may not be as powerful with voting open at the start of the show. Worth remembering that Marcus Collins had the pimp slot in the final 6 and only finished 4th that week just above the bottom 2 and his performance was much much better than Emily’s and Melanie was killed off with a flat performance from a pimp slot in the first year they had voting open from the start of the show. Gut feeling is Ryan and 5am, with Ryan going home. Matt is safe I imagine, although it was far from the moment he needs to make him the undisputed winner. I think you underestimate the attraction of the apparently straight, white male to the X Factor demographic. Mediocrity is not a handicap. In fact the best and most successful of them, James Arthur, had to survive a sing-off. Mediocrity is probably an advantage. Oh I still think he’s very much in pole position and will probably win, I just think it wasn’t the special moment that would make it Game Over no questions asked. That performance still hasn’t happened. When the voting stats are published we’ll probably see that he hasn’t needed a stand-out moment for about 3 weeks. What to learn from trump and brexit is that situation 4 weeks before the deadline is not a decisive fact. The best thing for matt is that there are no credible challengers who could unify the vote to beat him. You’ll be better off looking at previous X Factors. Cardle and Haenow might be useful. But maybe you know best. I think a combo which would bring value. Bet for Saara in outright now for 100 units. Then also bet Saaras bottom two appearance for 40 units. If she will not fall in b2, her lowered odds in outright will compensate your loss. She would become in single digits then. If she will end up in b2, she will not be eliminated completely and you would end up in small profit. This sounds almost like a surebet for me. The fact that 2 songs per week will suit especially good for Saara will improve that even more. Interesting post DGiles. I think you’re right about Saara’s VT. It could well be seen as merely symphatetic. I think the only one who could potentially beat Matt is Saara, but there is precisely zero chance of Cowell allowing that. 5am too inconsistent and can’t actually sing that well. Ditto Emily. Cardle and Haenow weren’t exactly fascinating either. Considering that cardle was against one direction I must give some credit to your thinking. If they get rid of Saara I think I will bet for Matt. Saara is a Orwell’s Snowball (book Animal Farm) they still must get rid of before the result becomes sure. He will be 1/4 by the time sara is gone. What Stoney said. You’ll need to pretty big stake to make that worthwhile. I’m glad Saara’s laying violinists weren’t wearing grey and blue. What still bugs me are the comments made by Dermot about the top 2 last week, is that it featured acts who had never been in that position before. My feelings was that it was Honey G and 5am. Honey G has been pushed and supported all the way along and for me not a lot has changed. In previous years the appeal for votes from the judges (in this case Simon and Louis) signify an act is struggling and needs the help. Could it be though that they merely want to lengthen her lead at the top of the vote. If Ed Balls wins Strictly on the basis of being entertaining, couldn’t tptb have decided they now want Honey G to win for the same reasons? Strictly would dominate headlines and trounce all over X Factor if Ed Balls were to win, Cowell could get in their first by allowing Honey G to reign victorious. This year is all about shocks, the country wants to feel good again. Novelty acts, outsiders that make you smile would be the perfect antidote. Thoughts anyone? No one seems to have commented on what Dermot said at the start of the show last night – that 3 different acts have topped the vote this series. That means that, up to last week where it was someone new, it was a 2 horse race. My guess would be Matt and Honey G had both come top on various weeks (Honey G definitely for Jump and possibly week 1), and therefore Saara was the one who topped last week. Those who are saying Saara could win – we’ve seen it in the past where winners only rose up to the top with a few weeks to go (Alexandra a good example). It’s not beyond the realms of possibility that this could happen this year. Though it may be boring, I think the acts are probably Matt, Emily and 5AM. Matt most weeks, Emily with Creep, and 5AM last week, possibly competing with Saara/Honey G.
I agree, this is a more likely scenario. I reckon Saara has polled well two weeks (Bjork and Donna Summer/Streisand) but not topped the vote, as much as my heart would like me to wish she had. Alexandra was much shorter at this point in the competition. Much much shorter. Yes but she was either favourite or narrow second to JLS with the bookies. I honestly think Honey G topped last week’s vote. Her treatment last week was very much like Reggie n Bollie’s in the week where they topped the vote (from the pimp slot too). As for the other weeks, I think Emily topped it with Creep and Matt the rest. 5AM are a conundrum right now for me. Positives: constant references to a successful post-show career (Louis told Simon to sign them), huge studio audience reaction again, all names of the band members in the opening “movie poster” sequence, another VT of mainly focusing on one member, three judge SO. Negatives: criticism from Sharon and Simon, RAPPING (or was this a method of making Honey G look even more amateur by comparison), on second and no ad break afterwards. It’d seem odd for tptb to want to allow them to fall into the bottom two after two weeks of full-on pimping. If the voting is as tight as implied, surely 5AM wouldn’t need a sing-off appearance in order to gain momentum in the vote? Maybe they didn’t pull in the voting numbers that producers and Simon expected to continue a full on investment? If they hit B2 and survive I think the potential winner tag is lost and they would no longer be seen as a competitive contender. That could change with full on pimping and support but you would have doubts of their ability to beat those contestants who have not had a B2 appearance. That’s certainly a possibility. I agree that a bottom two appearance is more of a hindrance than a help – although James Arthur is the exception (and one could argue that JLS would’ve won their year if the duets were more fair). To me, and presumably everyone, Ryan is going to depart (cue him inexplicably being called safe). Anyone – including Saara – can feasibly be saved against him. So why reveal yet another act struggling in the vote when the two danger zone veterans can battle it out between them? The only problem with the above scenario happening is the fact that Saara was outstanding last night. So I don’t know who’d take her position in the sing-off. I’m reluctant to believe 5AM will fall into danger because of one slightly negative week. Emily had the pimp slot (although that’s not always a certainty for safety) but surely a lot of viewers were thinking “she clearly can’t do anything up-tempo”. How will possible week 7 eliminations / bottom two combos affect matt’s odds in outright betting? I try to find correlations in results where correlations doesn’t yet exist on odds. Someone’s trying to lay off honey G on betfair price won’t stop going up. Just watched last nights show looks like matt has this in the bag. 5am needed a good performance to back up last week and fell short whereas emily damaged goods it seems! Someone’s trying to lay off honey G on betfair price won’t stop going up. Wonder if that’s a poster here! Heh. I feel a warm glow. And if she goes I’m in profit tonight. Yeah. I think you’re right, but it would have made for the perfect night. I think you could make a case for each act being bottom two this week with the exception of Matt Terry. I think that the most likely scenario is Ryan vs Saara, however. Ryan – that was one of the most rotten VTs I’ve ever seen on the show! Poor Ryan. His performance was okay, but it had that same effect Kingsland Road had with the criminal line up/mug shot opening and then later the backdrop scrolling downwards behind making it look as if he was falling down a big hole. Nailed on to go this week. 5AM – Vt intended to be positive no doubt but none of that felt right this week. Yet again the comments are drastically at odds with the level of the performance with only simon being the voice of reason. I’m not sure how much longer the show will be able to get away with this and have them safe. Saara – VT treads a fine line between guilt about her missing her family or sympathy. I think that it should motivate votes due to sympathy, especially as her vocal was so strong, but I’m not sure that will be enough to see her safe from b2. Matt – I have I to say I thought it was a really good performance especially considering how I detest that song. The staging looked fantastic and Matt sounded great. Nicole’s tears will have helped. 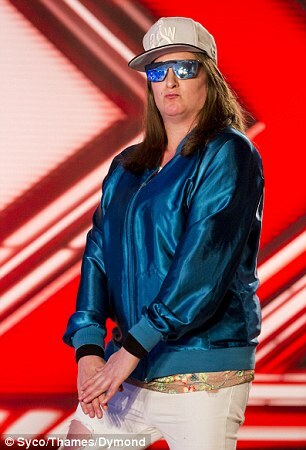 Honey g – didn’t see it as drastically negative as some, although the performance itself felt like it went on for twice as long as the other contestants. Simons reality check and Nicole voicing her concerns suggest that they’re hoping to let her go before the final now? Either that or to tee her up for something spectacular. Emily – literally the same as creep, but not as good. I hated her VT being told off, but mostly because simon repulsed me throughout it than anything to do with Emily. Really interesting that Saara’s moved ahead and behind in the winning and elimination markets. If she can cling on tonight, the two performances format could suit it (it will be a bit of a problem for Honey G). As someone able to combine a bit of novelty with superb performances and top vocals, she would make a great third place finalist. She would blow up Wembley redoing her disco song. Plus her story narrative has much more too it. I don’t think it will happen and if she survives tonight they’ll dampen her for next week. It just seems a waste. Hard to see past Ryan going, but then I thought that last week. Perhaps the producers tries to get the lovers bottom 2, and Emily still did well in the vote so they new it would never happen. Now just cut him loose, do an emotional VT with Emily being heartbroken, and boost up clear of any danger? Interesting that Saara appears safer than 5AM in the B2 markets? Finally caught up with the show, having only read the comments last night, which is a weird experience when you haven’t seen the performances. I’ve been thinking that right now, tptb have a list of exactly who they want to go out and when. Seeing the last six from this sort of strategic viewpoint is quite interesting as it starts putting a different spin on things. Ryan has to go sometime soon, but tonight they were actually relatively kind to him. There was a lot of positive praise and the production was big and fun. What if they are still planning a Emily/Ryan sing off but figure they can keep Ryan in for one more week to be able to do it? So they keep Emily in the same boring lane, making Cowell look like Svengali in the process – great for his ego – but given that some of her stripped back performances have misfired, as in disco week, is this really where she needs to be, will it really attract votes? If that were the case, then they’d need to bring at least one other act down to the bottom two and save Ryan against that act. It seems impossible, but I can’t see the show balking at doing it if that’s what they want to do. So Saara – the VT wasn’t helpful to her and while she sang beautifully and really moved me (and I don’t go for that sort of schmaltz usually), she didn’t look like Saara. Could she go out against Ryan? Would that be at all possible? I also think that the show’s favourites haven’t changed since the start. Matt and Five After Midnight are definitely due for a spot in the final. But tptb have been confident enough with their votes to mess with them every so often, give them a couple of duff weeks so that it looks more fair than last year when TCO was so obvious, week in, week out. They’ve been so set on telling us how close it is this year – that’s because they’ve made it so. I have a bit of confirmation bias here as Five After Midnight have always been my favourites and I vote for them – but I didn’t back them because of my emotional involvement and I also don’t think they will beat Matt. They don’t need to because a final slot is fine to launch a new band from. If you listen to the studio reaction, nobody really seems to care much about their vocal issues. It is always deafening. More confirmation bias? Perhaps. That VT couldn’t have been more charming and helpful though. Matt was superb this week but then I love the song. In a very rough period of horrible flu earlier this year, I listened to James Graham’s version (yes, he from Stereokicks) over and over again, so much does the song touch me. Matt really did make some significant changes and the falsetto parts were often belted, towards the end, showing the power of his upper register. I do think that was supposed to be his moment. I loved it. Whereas Emily was static and ultimately boring. I don’t think her voice is unique enough to do this sort of thing really. It’s ok, but not incredible. Honey G is beginning to leave me feeling a bit warmer about her naivety, her obviously sincere wish to do what she is doing and win the show. There’s something quite touching in it. However, last night saw the start of a take down. She isn’t in the bottom two tonight, at least I don’t think so – but if she is, she will be saved as we haven’t yet reached the week where she is fated to go – as per tptb’s list. So if it’s her who falls into the bottom with Ryan, I think she is saved. Could they save Ryan against Saara? I think Saara has to go soon, they are not going to want her to win and she is more and more in danger of it….. Watching the repeat, is it of note that Dermot said there were only 3% between the bottom 3 last week and that your vote could make a difference right before Saara was introduced? Is that a positive? Reinforcing idea she’s down at the bottom but an indirect call for votes? I dont bother with X Factor much as i cant stand watching it and the producers shenanigans.However i have traded an all green book this year mostly from watching the videos on Youtube for something to do while waiting for ESC.I have lowered the greens though on the book and taken advantage of making Emily a much bigger win.Matt might be the chosen one etc,but Emily is different league to the rest.To deliver It Must of Been Love while injecting such melancholy was outstanding.Of course following Creep,another fantastic delivery,she might be pigeonholed and unable to do more up-tempo stuff.Time will tell if that stops her winning.Saara is terrible.Id of gone down with the ship into the cold Atlantic rather than listen to her i think. Watching the show again and all I could see with Emily was danger signals. Maybe it’s confirmation bias as I think the show would love a Romeo and Juliet bottom two but I wouldn’t say it was anything near to a pimping. The headmaster’s office scene immediately switched the basis of song selection from Simon to Emily; instead of Simon ignoring the pleas for uptempo instead it’s Emily going back on her word of last week and wanting a ballad herself. Fair play to her, if she was told to do it she played the part well. But it’s not as though Simon could feign ignorance as Emily has been saying she’s wanted to do uptempo on The Xtra Factor every week since the start of the lives yet, seemingly given the opportunity to do so, she immediately retreats back to ballad land. She was sitting again, replicating Creep. I thought this was meant to make us think of that performance subliminally and compare and contrast. If so, Creep blew it out of the water completely – everything was far better and Emily had a far better connection to the lyrics than with It Must Have Been Love. The styling looked cheep and tacky. She had eye make up which is always a warning sign – Nicole(?) drew attention to glitter tears, whereas in Creep her emotion was natrual and hit her like a wave after the performance. This time she needed help? Saara had My Heart Will Go On but it was Emily who looked like she had been dragged out of the Atlantic, with her eyes and frosted hair. Add into this the lighting, focusing as much at the ceiling as her, which presented a rather cold image – Emily being left abandoned, alone. The judges were careful with their praise. A key sign is how the audience respond and, whilst there was cheering after each comment, I wouldn’t say it was out of this world celebration at what was being said. Sharon poured more praise at Simon than he did her even though it was Emily who supposedly picked the song to sing this week. Simon did qualify this in his very short comments before Dermot unceremoniously cut him off, saying they were about to fall off air which, I’m sure, resulted in quite a few audience members thinking ‘really?’ and looking at their watches, losing focus on the show. There was no reason for it to be running dramatically over time. Louis and Nicole kept their comments positively but not gushing; Louis even come up with “can you move?” to remind people of the promise to go uptempo. The killer was his follow up “please say you’ll move next week?”, in other words she will be here next week, no need to vote for her. The charade also lessened the boos from the audience at the criticism, which made him come across as fair (which he probably was being). It felt like a deramp, potentially an attempted drag to the bottom two, whilst dressing it up as something positive. But isn’t that the favoured approach from the show – to kill with kindness? I will also qualify this by saying Saara and 5 After Midnight also had issues after last night’s performances as I doubt TPTB will be overly disappointed if either land in the bottom two, as long as Ryan is with them. I’m pretty sure Sharon was pretty flippant in adding ‘I’m sure everybody is voting for you’ during her comments to Emily, too. Emily’s performance was shoddy and everything you say Fudd is correct but it was from the pimp slot and will appeal to those who are a fan of Emily’s. I can’t see her in the b2 tonight. Just saw Saara’s performance. They gave her the same wig they gave Emily last week and a horrible dress. Took away her trademark identity and made her look frumpy, awkward, middle aged. Hated the look. Didn’t like the performance. What a rubbish show. Can’t be arsed to watch any more of this. I’ve switched off halfway through and I feel better for it. Thinking about Saara… I wonder just how concerned they are about her making it to next week. If it goes to two songs as normal at this stage, then she is the only one who has proved she can be great both up tempo with a performance and in a big vocal number. I wonder if they are concerned this will give her a huge advantage that could possibly even see her win? I know she’s been at the bottom a lot, but if she makes it to next week she’s quite possibly the only one who could knock it out of the park in two performances. Interestingly, they compared her to Luke Friend on The Xtra Factor last night – three sing off saves and made the final. Of course, Saara’s had three Sing Off saves already. Though, considering her vocal ability, they’ll get away with saving her again should they wish to do so. I doubt they’re that bothered tbh. They’ve got lots of tools in their armoury. Her vote can easily be depressed. It’s not a singing competition. It’s not even a performance skills competition. It’s all about presentation and that’s almost entirely in the hands of the production team. The only power the contestant has is to not make a hash of it and the responses they give to the judges, which is next to nothing. You can argue that people like Sam Bailey, Ben Haenow, Matt Cardle were not the first choice, that they caught on with the viewers and tptb decided to go with that. In Saara’s case they depressed her vote in the first couple of shows so she didn’t have a chance to get started properly. Anything to be read into Dermot announcing there was only 3% in the bottom 3 last week and telling people their vote can make a real difference, just before Saara sang? Trying a bit of additional motivation to keep her above Ryan so they can get rid on deadlock? Maybe the producers read this forum and thought we will show you lot and threw in a few curve balls this week lol.. It has been said it was going to be a pivotal week. There may be more confidence on who is likely to go this week and after last night more confidence that Matt is in pole position. But there are doubts in people’s thinking, what with the story about the voting too, so it’s going to be interesting tonight. I think I’m gonna stay clear of this week and see how it pans out. Maybe when the dust sets from any fall out it might not be that odd of a show after all. Is Lovers sing off still in a plan? If not this week, what about next week? If yes, that would mean that Ryan should win his sing-off against anybody else than Emily. Therefore a shock elimination of Honey G / Saara / 5 AM is actually possible. From what I saw Saara is going b2. I didn’t watch Emily but saw most of the rest. It was all pretty dire. Matt was the standout but I hate that song and a man in a dinner jacket singing a torch song is too dated for my taste. I wonder if they actually care about the show at all anymore. It’s not entertaining, it’s an endurance test. Curve balls galore so no pivotal week yet, although many think last night was. We may never get a pivotal week, they might mix it up right to the final. I’m guessing they’ve had more success in controlling the vote with their manipulations this year than ever before. Experience counts. I think the voting has just been more volatile ever since the introduction of app voting, tbh. There seems to be a lot more uncommitted “swing voters” now you don’t actually have to pay anything to vote. Whereas before, paying and phoning up required a level of dedication. I think the app with the Facebook/Twitter identity logins the producers will have significant data on the voting patterns. They maybe be able to see who has a solid fan base regardless of the performance or who has a broad appeal/swing votes based on performance. Wouldn’t surprise me they if employ statisticians/ research assistants using some sophisticated computer software analysis tools. If they go that far I think that they also have not chosen their preferred winner. Or I would not. I would use this information to predict their potential as an artists to estimate the new fan acquisition cost and expected total revenue from a fan. I think that people who use statistical tools will use these tools also to re-evaluate their original plans. Except that voters represent a different demographic from people buying and listening to pop music – or else Louisa Johnson, Ben Haenow et al would be top of the charts. Some posters seem to think that only teenagers and 20-somethings use the voting app. Personally I think that’s rubbish. Everyone knows how to use apps these days. I have a friend who is in his 70s who knows more about computers that I do. Jess: totally spot on that viewers/voters do not equal music consumers. Although interesting to note this week’s top 15 contains 3 X Factor winners. Jessica, it does not matter that voting demographics differ from buying demographics as long as there is an overlap and they know where to find it. If he will not be there, what would it be then. Next favourites are Honey G and 5 AM. That would lead to shock elimination. Too long shot? According quick calculations should happen with at least 5% probability!?! 5AM and Ryan bottom two is quiet possibly a slightly stronger than usual possibility as both on early and both quiet forgettable. Lines did open early though. Logic says they went for Ryan last night. Small stakes night seems best option at least until bottom two known. Wonder how fast they will close the lines tonight. Sharon to make more errors tonight? Wouldn’t surprise if Sharon or Nicole go rogue before this is over. Nicole has set herself the possibility to send Honey G home if need be. A night for some caution reckon. Ryan bottom and dispensed 3 – 1. If not Saara then Honey or 5AM. In all cases Ryan leaves. Hopefully not as out as I was last night. Do not be so sure that Ryan will be gone. They saved 4oD after horrible sing off, to refresh your mind. If they keep Ryan, they can save anybody against him when needed. This is just for a case that they want to potect somebody. I just dont have a glue whether they have such a need coming or not. I just want to say that saving private Ryan might still give them some benefits. That would mean Honey G would be dead last in the vote, which I cannot see. They usually do not vote contestants out by majority if they can get the desired result by deadlock. My thinking is that tonight Dermot is going to rip Honey G’s sunglasses off and reveal that she is, in fact, Jonathan King. Now that would put the show in the papers. I know this page is old but seriously stoney I am starting to think you are a producer. Although i will say this spot on call from me did not get the recognition it deserved! Ryan / Saara. Saara goes on deadlock. Glad to be wrong about that. I’ve gone for Saara to be announced safe first at 8-1. I figure IF she is safe she’s a decent shout to be announced first as then everyone knows someone who’s not been there before will be. And it won’t be Ryan. Decent bet do we think? I’ve backed emily this week. Praise better than performance. Seems an obvious choice to suggest she’s clear of the bottom after last week making her wait to be announced safe last. I see the logic in that also. Hope one of us is right! Saara’s performance seems to be very popular on social media. 5% between the bottom *four* makes me think the bottom two is clear and the other two are on the upper end of that. Matt and Emily clear at the top. Matt way clear as number 1. Bottom 4 this week is close. Dermot to Matt: That was a moment right there, wasn’t it? Ryan. Please let it be Ryan. Hi folks, been reading these site for a few weeks and I’m fascinated by all the manipulation tricks you spot. I’m a total believer in all of them, and now try to spot my own! It seems to go against the grain, but did anyone see Nicole in the recap video.. ‘5am need to go home, *LONG PAUSE*, they’re too good. Pause seemed a bit too long IMO! 5 After Midnight isn’t sticking is it? Louis keeps calling them 5am and Craig just did the same! What the hell is Dermott doing? This is just cringey. 5AM pointed to Honey G because what they really meant was, we don’t take her seriously and if she wins then it’s all a joke. About right really. That’s the second week in a row the interview moment has been painful. They really should drop it. He knows he’s a goner tonight. He even said ‘even if they dont win they’ve got careers’. Exactly what TPTB are planning. They’ve managed to stall Honey G’s momentum then. Most predictable sing off result ever? I wonder if Honey G will get a Week 7 bounce to the final? Do you seriously think she ever had any? Fair point – feel of desperation last night, as said in the article, with Louis and Sharon appealing for votes. I’m not sure if the show wanted her in the bottom two at this moment but there was definitely mixed messages in the staging and comments for her. I Admit, I thought it would be an easing for next week. Not too surprised but I never went with my gut, I went with my brain. Honey without a set would be interesting. I 50/50 at this point. I’ve just realised I turned into a Saara Aalto loon. Had the same reaction as she did to hear she was safe. All things considered she’s the only one that keeps me tuning in really. Smart way of putting Honey G in the Top 3. Make her Bottom now, she bounces all the way. Prepare to be entertained tonight while Ryan gives us yet more of the same: singing. Saara to be duly let go next week, sadly. Wouldn’t be surprised if she’s been Top 2 these two weeks. Back to wacky next week then. I am infected with Saara disease too. I wanted to party after her name was called. Time to start taking her seriously Matt, Emily and 5AM! When I said the time to start taking seriously I was using the infected part of my brain. I reckon 2 performances next week suits Saara the most. It allows her to do 1 wacky and 1 purely focused on the singing, so she doesn’t need to compromise. I can’t see Honey G bouncing too much now they do 2 performances each week. People have clearly begun to tire of her and 2 practically identical performances in the same week will just highlight this. It allows them to do what they’re told twice. Ryan 1.6 on betfair i thought it would be 1.01 is this the bet ov the century ???? What is honey going to sing in in the sing off though? Could be really embarrasing and the judges get rid of her? Just like Laying matt is the bet of the century? Knew the facebook likes were right! Six left is usually the time the novelty act goes. Also, if Ryan stays the lovers’ sing off is still available for next week. I’m already on Honey G. If I wasn’t I’d still expect her to go out (although I wouldn’t be on it). Quick shot of Nicole reminding Sharon to save her own act. Meanwhile Honey G slips into a West Country accent. Who know North Weezy was in Somerset. Forgot her lyrics. So cringe. She has to go really. This is hilarious. Total car crash. I’m not a huge fan of his, but this entire competition for Ryan has just been indignity after indignity. Ryan grew on me week on week. Attractive guy with subdued charisma. Thought last night was his best performance. Hope he makes a go of a career now. Except for himself. He has always carried himself with dignity. Yep, he has. Good for him. Honey G was bottom then? Alicia Keyes suddenly remembers why she hasn’t been on the UK X Factor for 4 years and vows not to return for at least another 4. Looked it up. Last time she was on the show, Ella and James were in the bottom 2. Honey G finished bottom of vote otherwise would have gone to deadlock. Will they try and push Saara over emily next week? No offence but I can’t really understand what you are saying. I agree with stones, I can’t really take you seriously. I think I can summarise for you. Its always nice when someone who contributes nothing to the debate comes on bragging about how easy it is to win money. Always goes down a treat that one. Not everyone will always agree. Tensions run high where there is money concerned, especially when some people put large sums of money on the line. And I’ve had fall outs with various people over the years but at least I can accept they have their views and are often backed up with valid theories/beliefs. Whether I agree is another matter. And I don’t hold any grudges the next season. Is all water under the bridge. Made a decent profit on your call.. so thanks. Yes I think Ryan was bottom. Saving Honey 3-1 makes it look less of a ridiculous decision and gives her a boost. Sense that 5AM were 3rd bottom and TPTB are now just hoping to push them into the final. Think this has always been the plan but believe they have probably given up on the slim hope they had of pimping them to the win. They seem to have accepted Matt is the winner now and are presenting him as a worthy one. He’s got an album deal after all. I am not sure Alan. What better way to say it was the public that kept her in. It will be interesting if they give her a bounce with Louis Love’s next week. Anything could happen. I was surprised she was dressed in red and black instead of gold and sliver. Maybe the idea was to hide the vote but I can’t help thinking it gives the distractors an opportunity but they must be confident that they can control Honey G’s vote. 5AM must have a solid vote if they were able to do that and not risk them being in the bottom 2 if that was the plan.. All the references to a final placing made sense. Simon tempering his praise allows him to lay it on thick next week if that is the plan. I do believe they learnt lessons from the last group they wanted to do well to launch a career. Simon was always gushing over Stereo Kicks to the point he embarrassed himself and it didn’t stick with the audience. 2. They clearly have her vote in check because there’s no other reason they’d save her over Ryan. kudos to those who correctly called that; it was indeed a sign that Honey G was polling badly when two judges appealed for votes for her – but how craven of Cowell to turn round and say she wasn’t so good on a second viewing. Threw a few on Ryan to leave at the last minute. Phew! Thanks that happens! Next weeks got even more compicated. Can ghey save honey g against Saara? Goodness me what a car crash. I think my most used phrase this series has been ‘poor Ryan’ but he has to have had one of the most rotten journeys this show has ever seen. Ryan never got going. It was pretty slow progress journey but still when one compares to Andrea Faustini journey he could have done worse suppose. And after that festival of cringing one can understand why. I thought Honey would be in trouble but being in the bottom 2, wow. That was the schlock, not the Ryan exit. I expect her games up next week. Simon showing his hand on Xtra, saying Honey G stands no chance of winning. You can email them – there’s a link at the top of the page. Second good profit in a row, show getting more predictable down the last few weeks as per usual. I don’t see Honey G bouncing, sing off vs. Emily next week I’d imagine. Saara surely? 5AM will get a massive pimping now to get them as far as possible before the career launch. I did miscalculate. Saaras odds are still quite high. Thought that her avoidance of b2 would make her into a single digits. Current odds are close to right imo, but thought tjat there would be bigger shift. The biggest outsider going wasnt going to affect the odds much. Not far behind emily now. So four at the bottom and close and two outright leaders? I think you have 3 + 4 the wrong way round personally after this week.